I leant out of the window at dusk to take this picture. These elusive creatures intrigue me with their enigmatic presence, their self possession and their fearless grace. There’s something heart-stopping about coming eye-to-eye with one on a midnight street, and it never ceases to amaze me to see them here in Spitalfields. 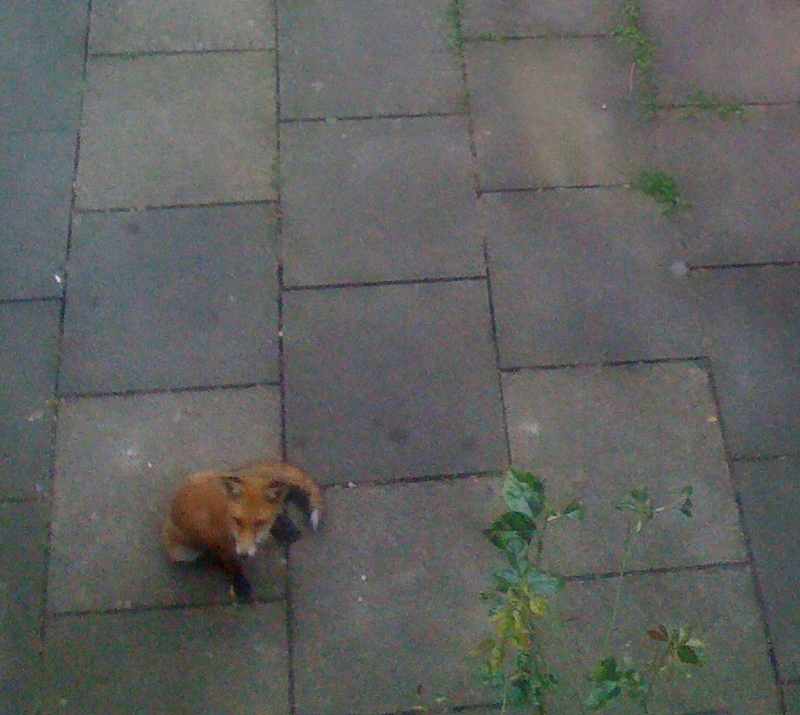 In spring, I am sometimes kept awake by the cubs playing in the yard and often when I eat dinner in the garden, a fox will appear in the shadows drawn by the smell of roast chicken and then approach, circling the table, sizing me up. We have a relationship based on mutual fascination. I live in Adelaide, South Australia, there are quite a few foxes living in the urban environment (about 11 per square kilometre, I think). I usually only see them very early in the morning while out walking, or late at night, risking their life dashing across the roads. I’m enjoying your stories of Spitalfields Life. this keeps reminding me of dead cities (mike davis) and wild london (richard jeffries), and a lot of dickens and v. woolf at their most apocalypto: badgers running the streets.